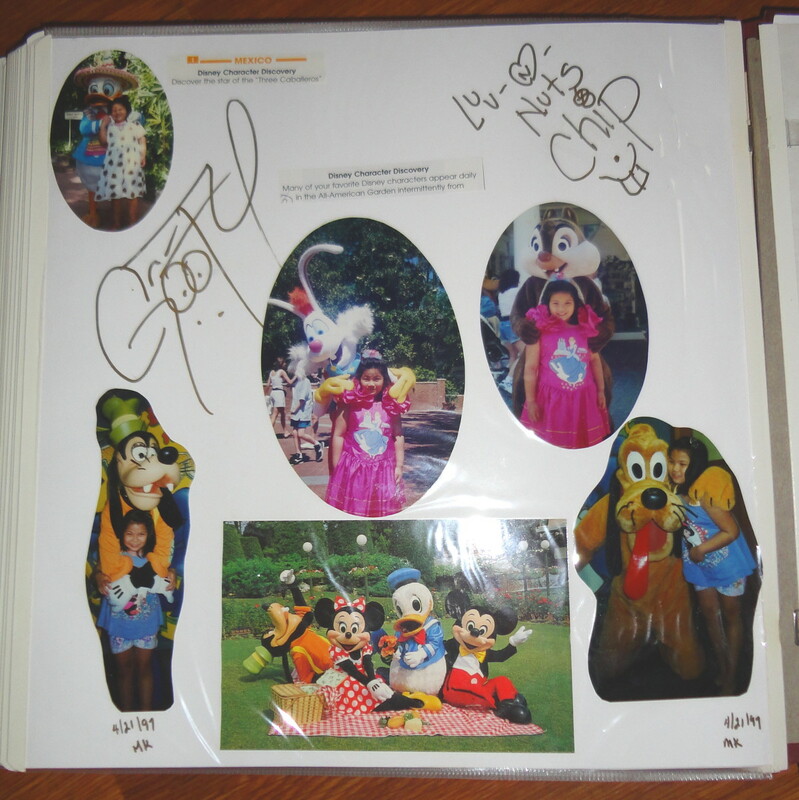 Kids (and even some adults) love bringing or buying Disney autograph books to the theme parks, the company's cruise line ships, and its timeshare resorts. Why? They love to meet its own character collection. I'm talking about Mickey, Pooh, and other creatures, princesses, and heroes. Well, while some parents are OK with buying their kids' autograph books or having them buy their own, there are some sticking to budget and sidestepping them. They know all too well that they are expensive. 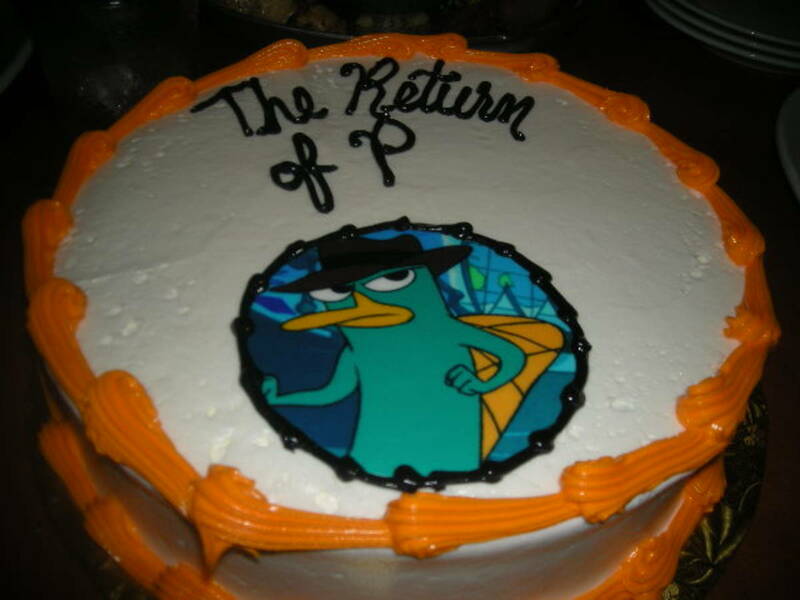 Also, there are some parents who want something unique and more personal for the cartoon heroes to sign. Some others want more pages if the kids are to meet a lot of characters. Although I understand some parents wouldn't mind buying the books from the parks' shops or cruise kiosks and that's perfectly fine, here's a great way to make your own. This isn't just for the frugal lifestyle crowd, but also parents who want their kids' books to stand out. 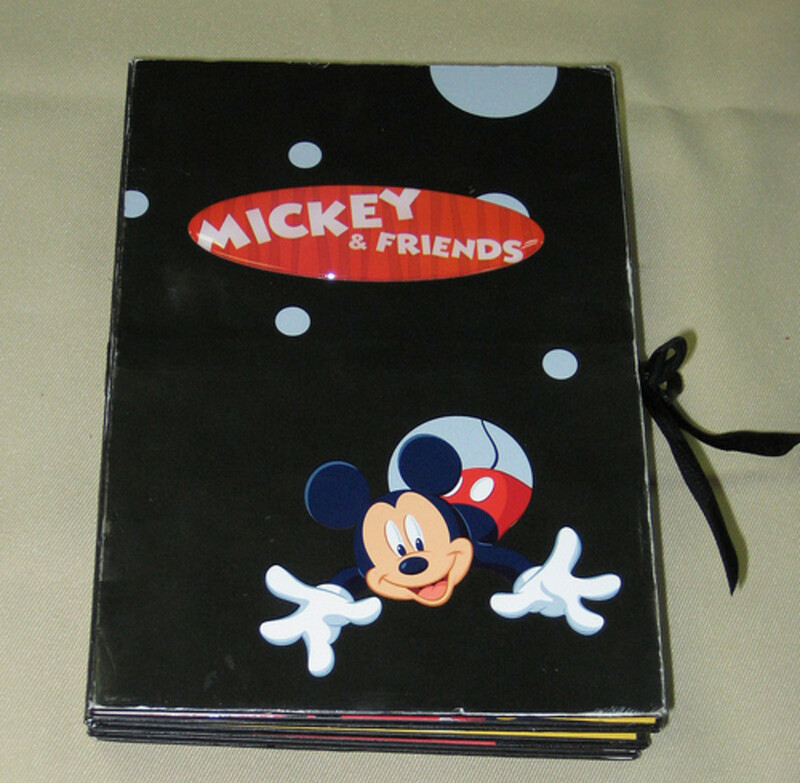 I'm not sure if this would surprise you, but all autograph books are notebooks and/or journals in some way designed for the Disney gang (or other licensed character group, if using this for non-Disney parks) to sign. Yes, that's true - they are journals to keep track on who met the kids and took photos with. Speaking of which, you can find any notebook that can comfortably fit the characters' signatures. I suggest that you buy something 5-by-7 or larger. They are usually cheap and cost a small fraction of the books sold at the park stores. 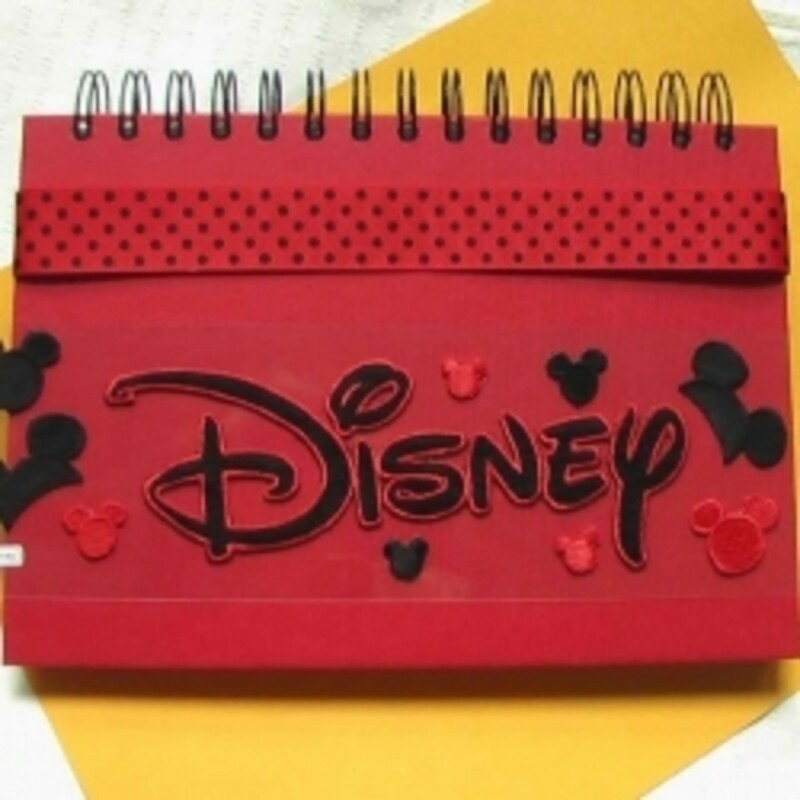 Sketch pads are also good canvases for personalized (and cheap if you're doing Disney on a dime) autograph books. They are usually thick enough for the fat markers to not bleed through. As long as you use an acid free, lignin free pen for the characters to sign, a photo album works great. It's great for pairing signatures with photos if you wish. 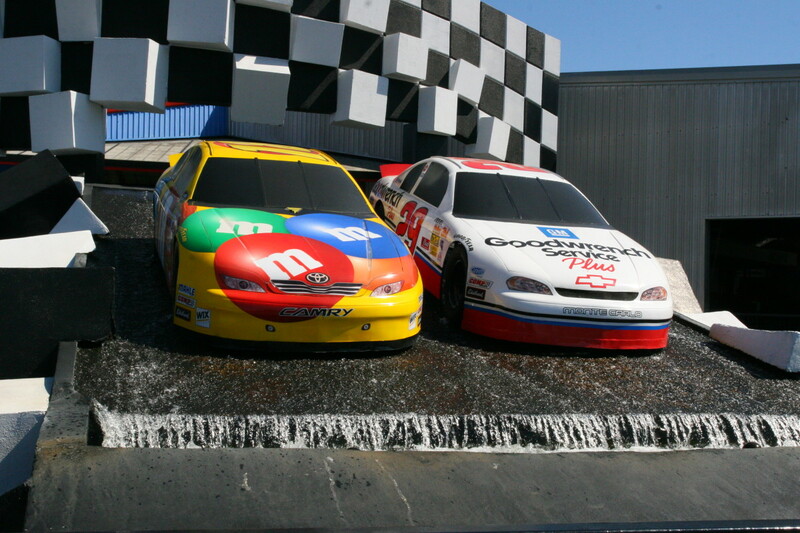 (Oh, and the pic of Chip isn't shown, just Dale's - but that's OK! Head to your local scrapbooking/craft store and find something that can be used for the cover. (You can decorate just the front cover or do that and the back one.) 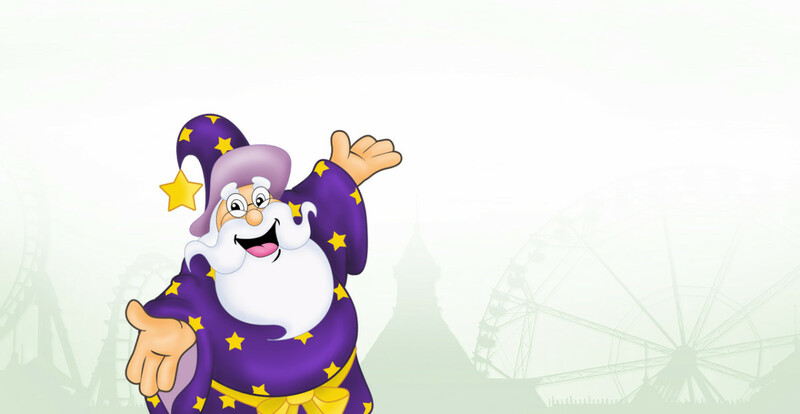 It doesn't have to be necessarily Disney, but choose something that's pretty. Find some decoupage medium and acrylic spray (or a water-based, UV-resistant polyurethane sealant) as well. Stickers are also great ways to embellish your covers. If you are into all-Disney books, there are tons of those - from Mickey and friends, Princesses, and recent animated films. You can use any other stickers if you are doing non-Disney parks as well. (That's right - even most characters at other parks like Universal Studios Florida and Sesame Place also sign autograph books.) Epoxy stickers add dimension and interest. If you want stickers to stay long, even in the hot sun where kids queue up to see their toon pals, apply a coat of decoupage medium after placing all of what you need on the cover. Then spray with protective sealant or paint with a water-based, UV-resistant medium. Did you know that you can decorate the pages too? As long as they are kept to a minimum (you'll need room for the characters to sign), they can make your book come to life. If you are brave enough (or if you are an adult who likes to go above and beyond the usual autograph book), you can use glass flatback rhinestones (look for kid-safe, low lead ones such as the Swarovski Advanced Crystal ones). Otherwise, if plastic jewels are the only ones that are affordable and safe for kids, go ahead. Your kids' books will still be beautiful. 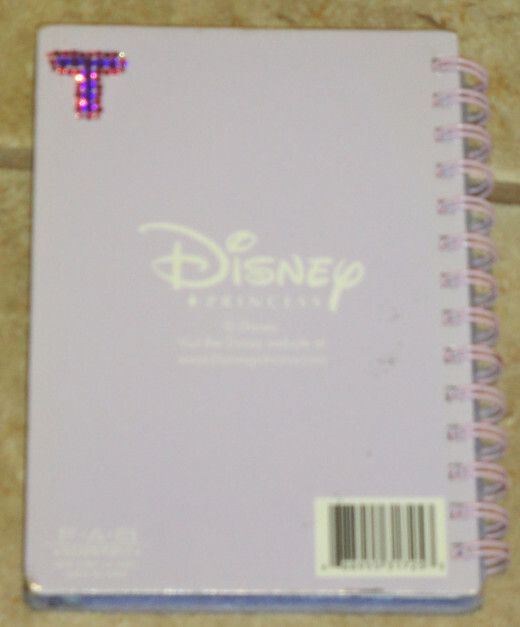 Here, I monogrammed the back of my autograph book (which is a journal given to me as a gift years ago) with some Swarovski flatbacks in purple and pink. But you can use acrylic ones in place of them if cost and/or kid safety is a concern. Pens are the most important things for characters to write names with. Keep in mind that Fur Characters, which are obviously talking animals (such as Eeyore) or caricatures of human characters (like Mr. Smee) have thick hands. If using a thin material as autograph pages, a thick ballpoint pen would work. 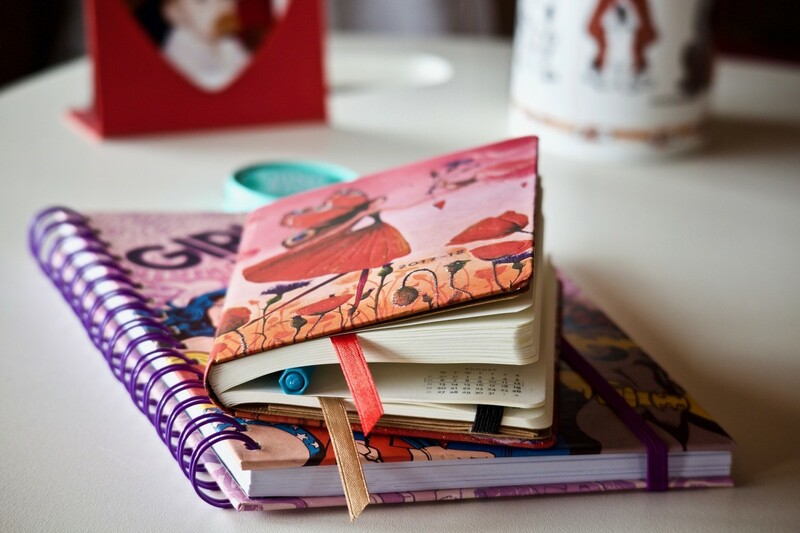 If you pages are thick enough and huge enough, permanent (or pigment, if using a photo album as a book, if acid-free) pens also make great choices. For some concerned about pens being the same (which in turn can get lost if not tied to the book's spiral binders) you can decorate them. Glue pretty paper, paint, or bling them up (using kid-safe jewels such as Swarovski Advanced flatback crystals or plastic gems) to make them stand out. If your pens have interchangeable cartridges, feel free to wrap them in polymer clay when the cartridges are out of them. This makes it even thicker so that the Fur Characters can easily grasp them while making them unique with your own style. Some people are OK with buying autograph books from the stores. But if you are on a tight budget, crafty, or both, why not make your own. In most cases it saves you money, but the best parts about doing it are that personalization and that uniqueness that make them very remarkable keepsakes. If you have acrylic gems on hand, you can color them and seal them before or after gluing. It makes them unique. Great for fabric-covered covers or book pages as long as they are small (SS 5-7). What Item Do the Characters Sign?